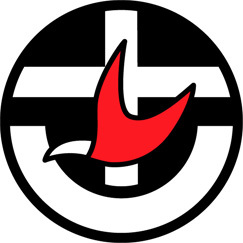 Merewether Uniting Church continually strives to live out our values of community, service, participation of all people, welcoming diversity, and a commitment to social justice and peace. We gather each Sunday at 9am, sharing stories, songs, contemporary and Biblical readings with discussion and creative activities. We reflect, encourage and strengthen our commitment to the values Jesus lived and taught. Learn more. A volunteer led group providing a free 3 course meal to more than 80 people each Tuesday (February to Christmas), who are in need of food and/or companionship and who would otherwise be isolated and undernourished. Learn more. A volunteer led group for people who have lost abilities from adverse health events or accident, providing a space for friendship, fun and strengthening skills. Tuesdays 10am – 2pm. Learn more.